Wolf Gold .45 ACP ammo is an excellent choice for the 1911 or other 45 auto shooter looking to head to the range. Wolf’s brass-cased line offers reliability and nearly unmatched history you can depend on. When Tsar Peter I of Russia ordered the building of a major ammunition manufacturing plant in 1712, he could not have known Tula Arms – known as Tula Oruzheiny Zavod in Russia – would continue to flourish three centuries later. 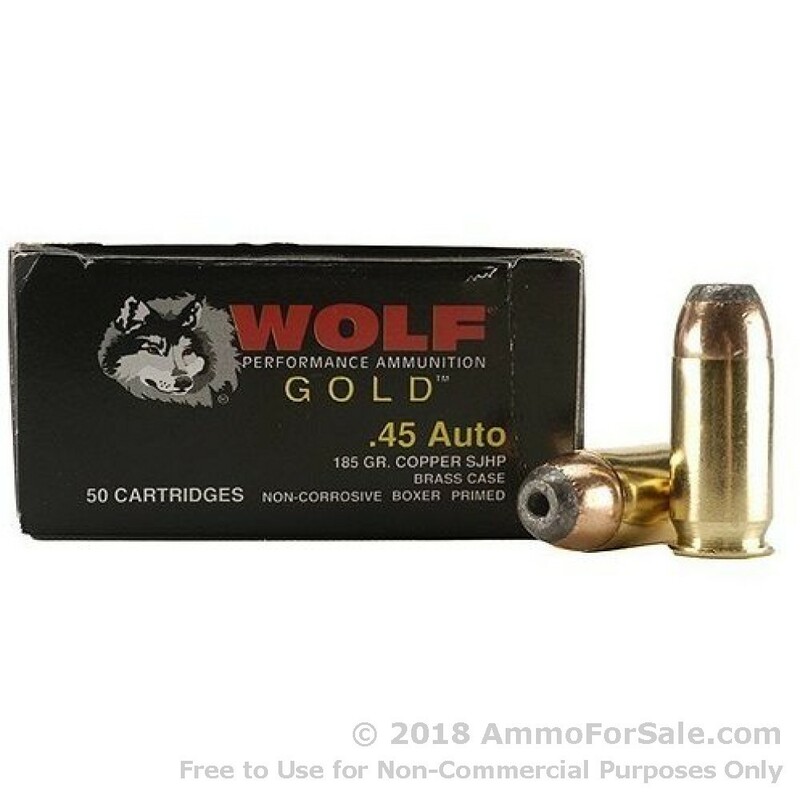 This Wolf Gold .45 ACP 185 grain JHP (jacketed hollow point) ammunition is a fantastic example of Tula’s design and production abilities. Dedicated shooters with backgrounds in the true art of war use .45 ACP. It’s got one-shot stopping power to spare no matter what you use, but when you load with JHP rounds, you’re going to create a devastating hole unlike any other. These rounds have dependable mushrooming and deliver maximum energy transfer when they reach their target. They’re excellent defense rounds but you can also use them for training, in fact, it’s a good idea to get used to how your personal protection rounds feel in advance. These are 185 grain rounds, making them medium-weight. They’re heavy enough to increase the damage they’re capable of creating but light enough to still move at a decent pace. They have a muzzle velocity of 935 feet per second and a muzzle energy of 359 foot-pounds. Each round is loaded to SAAMI or CIP specifications and is also new production. 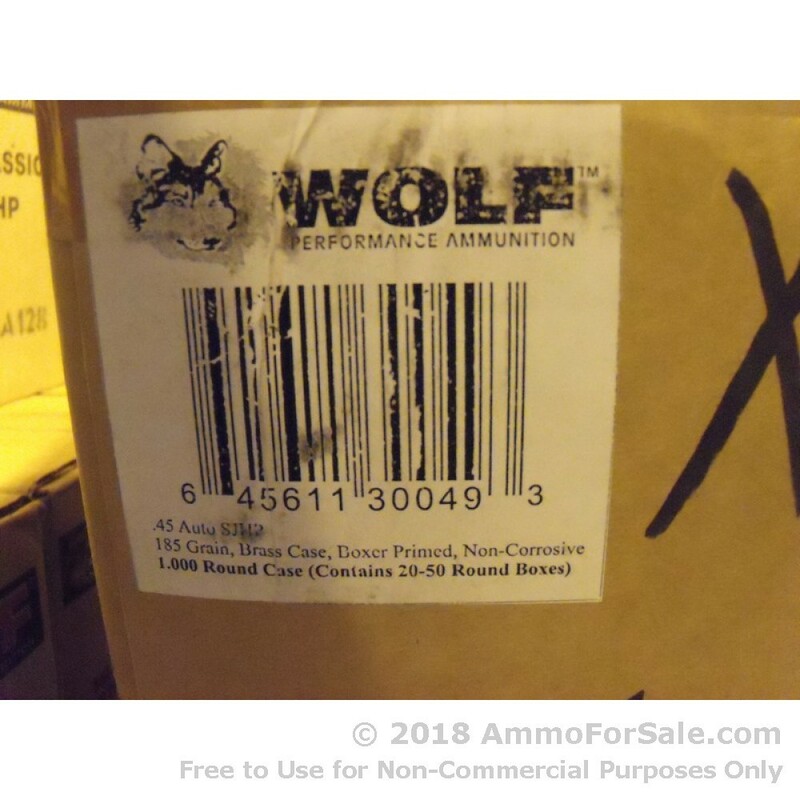 That’s right, these Wolf rounds are made in fresh brass cases using boxer priming. You can fire them all, police your brass, reload, and get some more practice in. 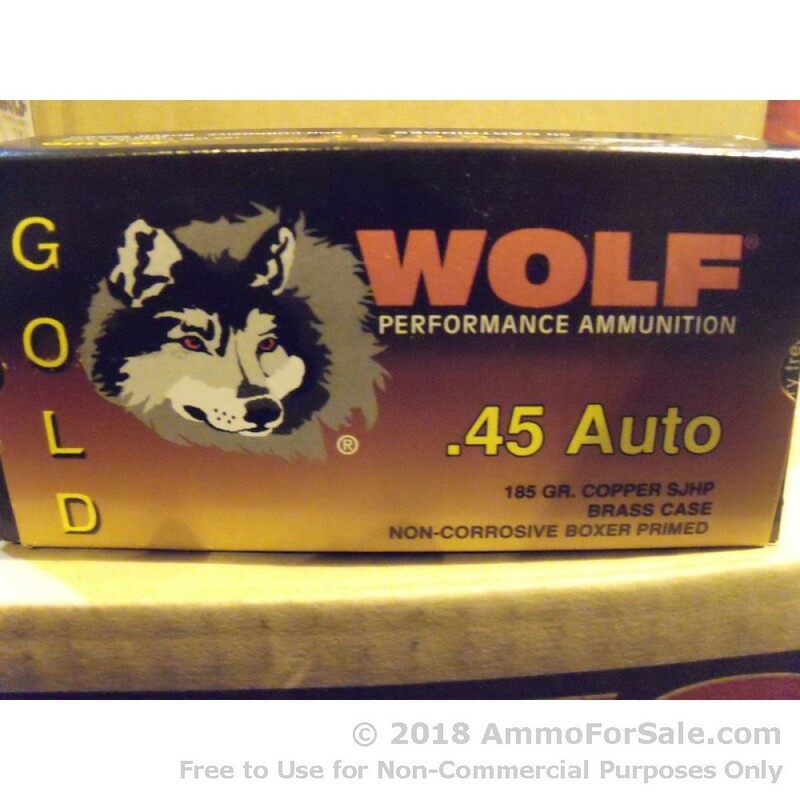 There are 50 rounds in this box so you’ve got plenty to stack in your safe for future defense needs or to take out and get some self-defense training time in. Whatever your plans may be, get to it; self-defense scenarios cannot be predicted, so it’s vital to be prepared.